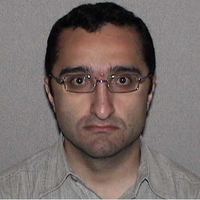 Khachik Sargsyan is a research scientist at Sandia National Labs. He has an applied mathematics background with expertise in stochastic processes, spectral methods, statistical analysis. He has developed techniques for uncertainty quantification, statistical analysis and model reduction with applications in climate modeling, biochemical systems and hardware architecture simulations.